I had planned to put this post out ages ago, but then I found out that October is California Archaeology Month ... so it just had to wait! As some readers of this blog will know, I spent part of March and April this year (2013) in San Diego, California. While there we did all the tourist things: SeaWorld, Legoland, San Diego Zoo, along with sampling large amounts of the local seafood and beer (I strongly recommend the Red Trolley ale). I even managed to get myself invited to the beautiful campus of the University of San Diego to talk about Irish archaeology. As part of Anthropology 494: Native Peoples of Northwest Europe, I was invited to speak to the senior class of undergraduates about two sets of excavations I directed at Gransha,Co. Londonderry, and Gortlaunaght, Co. Cavan. I had a fantastic time and enjoyed myself immensely, and I hope that the students and faculty members that listened to me did too. On one particular day we left the relative cool of the beach and headed inland to the San Pasqual Valley and the San Diego Archaeological Centre. 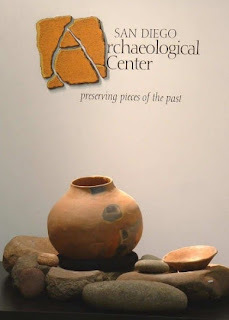 Their website (which is well worth a read) explains their mission best: They are a “curation facility and museum where visitors can learn the story of how people have lived in San Diego County for the past 10,000 years. In addition to its role as a museum, the Centre serves as an education and research facility and is the only local organization dedicated to the collection, study, curation and exhibition of San Diego County's archaeological artifacts”. I was visiting there merely as a tourist, rather than a professional archaeologist, so I did not have the opportunity to catch more than a glimpse of the impressive storage and curation facilities on site. But what I did see – the public exhibition spaces – are just stunning! Rather than write at any length about the Centre (again, read their webpage – it has everything you need to know about the wonderful job they do), I wanted to post some photographs of the exhibition to give a flavour of what's to see. Kumeyaay Ollas from Cleveland National Forest. These date to the Late Prehistoric (c. 900 - 1796 AD) period. Large Ollas like these were used for storage, while smaller examples would have been used for cooking and carrying water. A group of flakes from the Palaeo-Indian period (c. 8000 - 5500 BC). The most popular stone utilised during this period was Santiago Peak metavolcanic, a fine-grained felsite. The artefact on the bottom-right is labeled as a 'spoke shave' and is relatively similar to Irish Middle Neolithic (c. 3500-2900 BC) 'hollow scrapers'. However, during a discussion with the immensely helpful and knowledgeable staff, I was informed that these are something of a rarity with only five (I think) being known from the region. A display of artefacts from the Archaic Period (c. 5500 - 1000 BC). 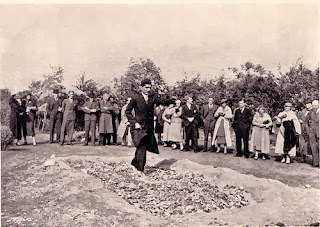 The appearance of grinding stones (querns in Irish terms) indicates an increasing reliance on plant sources that required processing before use. A collection of stone bowls, found 'many miles off shore'. Their function is unknown, but may have been to allow the transportation of burning embers, or for processing bait. Grinding stone ... again, it wouldn't look terribly out of place on an Irish site! Donut Stones ... these are a new one on me and don't (I think) occur in the Irish corpus. Apparently, there is no consensus on their function, though it's thought that they may be weights for digging sticks. Another Late Pre-Contact period artefact - an arrow shaft straightener. As the caption says, it was used 'to gently bend prepared and heated wooden sticks to create an arrow that would fly true'. Obviously, there is evidence for the use of bows and arrows in Ireland, not just the relatively frequent arrow-heads, but even the bows themselves (e.g. Drumwhinny, Co. Fermanagh). What gives me pause is the though that, should something similar to this artefact be found in an Irish context, even our best known and most respected lithics experts may have difficulty in identifying it ... maybe we should be keeping our eyes open ... just in case! Selection of Post-Contact (c. 1700 - present) (or Post-Medieval in a European context) glass and ceramics. One aspect of the interpretation of this period that I was very taken with was the identification of cut marks on bone. For example, the presence of cleaver marks may indicate that the household was rich enough to employ a Chinese cook, while saw marks would indicate that the meat had been prepared by an American butcher. These days, there is a huge upsurge and interest in what we term 'community archaeology', where local communities actively take ownership of their own heritage - as opposed to seeing it as the sole preserve of the academic archaeologist. It is tempting to see this as a new development, but it's not so! In 1970, profits from the sale Girl Scout cookies allowed the orginasation to purchase a large tract of land in the Cuyamaca Mountains. An archaeological survey of the land, later renamed Camp Winacka, revealed the presence of Native American cultural material, including bedrock milling stations. This material had to be archaeologically resolved prior to any construction work taking place. San Diego State University, in co-operation with the Girl Scouts, conducted a series of excavations here from 1971 to 1978. Selection of the ground stone tools recovered from the Camp Winacka excavation, and interpreted as having beenused in the processing of acorns. A selection of finds, tools, and field books from the Camp Winacka archive. In the foreground there are a collection of display cases dedicated to the pursuit of archaeological science and analysis. While I was engrossed in the displays, my two sons were equally engrossed in the children's crafting area, just visible in the background of the shot. They have a whole assortment of archaeological-themed crafts to keep children entertained and enthralled. Admittedly, Oscar managed to subvert the intended uses of the crafting materials and, with a little assistance, construct a rather nifty UFO! I think that the only thing that the Centre’s website fails to mention are the humming birds. Outside the building, in the shade of the overhanging eaves, humming birds – dozens of them – come to feed and drink. They’re easily startled, but if you sit still and wait they will hover just feet from you. I loved the archaeology displays and hope to return again one day, but it’s nearly worth the trip just for these beautiful little birds as they dash, dart, and just as suddenly hover in mid-air, their wings all blurred. If you have an archaeological inclination, and are heading in that direction, please drop in to the San Diego Archaeological Centre – you’ll not be disappointed! To the good people of the SDAC, I say: Thank You for a wonderful day out, keep up the good work, and please don't forget to feed the humming birds! Note: I am aware that the San Diego Archaeological Centre spell the last word of their name in the American fashion ‘er’, rather than in the English manner, ‘re’. I also know that I should have respected this and preserved their spelling … but it was just too alien to me … I tried, but it just looked wrong! Sorry! I apologise in advance – this post has almost nothing archaeological to it. However, I’d be very grateful if you would read it and consider sponsoring me in this charity endeavour. How I'm afraid it'll go! I have a very distinct memory, from when I was a very young child, of seeing a fire walker on TV. Even though the presenter explained the physics involved – that the feet aren’t in contact with the coals for any significant time, certainly not enough to induce a burn – it left an indelible image on my subconscious. Since that time - and despite all scientific evidence to the contrary - the concept of fire walking has, to me, been imbued with layers of romanticism and mystique. It has become synonymous with feats of bravery and exoticism … and … I suppose, with the passing years it has become fossilised in my mind as something that happens to Other People. Adventurous folk. Certainly not to me. That’s probably where that one would have stayed – another entry in a catalogue of weird experiences that I might like to try, but certainly wouldn’t be seeking out anytime soon. Firstly, I read Stuart Rathbone’s fantastic paper on, among other things, the issue of mental health in commercial field archaeology. The four and a half inch pointing trowel ... and the damage done is an immensely important piece, not least for being the first of its kind to openly discuss these issues for an Irish audience. Since it was published in September it has already had over 5300 views. The fact that the people reading this are from all across the globe, Ireland, the UK, the US, Europe, Asia, Australia, argues that it is of much wider significance and interest than a purely ‘local’ story. So much of it rings true to my own experience in commercial field archaeology on this island. It got me thinking about mental health issues not just in archaeology, but in the wider community. 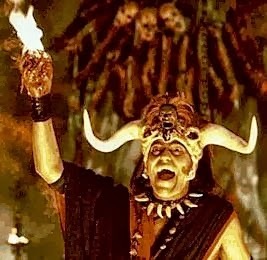 Secondly, an email went about my place of work asking for volunteers to do a charity fire walk. I gave it a glance, thought briefly about it – and deleted it. True, it had immediately reignited (excuse the pun!) my childhood memories of dashing and quasi-mystical deeds, but I concluded that it wasn't really 'my thing'. I realise now that even though the email had been deleted, I was still thinking about it. It kept nagging at me that this was something good, something I should consider more seriously. I eventually rescued the email from the recycle bin and thought some more. It was only when discussing the topic in a team meeting I that admitted that I was 'thinking' about it, that the proposition took on a more concrete aspect for me. The simple act of saying it out loud galvanised my resolve. After that things moved pretty fast - by the end of the day, I'd replied to the email and volunteered. Within 48 hours I received an email thanking me for what I was going to do. [PIPS provide] Support services for people in suicidal crisis and those impacted by suicide including specialised support for young people bereaved through suicide and care services to help people engage successfully with long term mental health care. We also have a bereaved families group which is a self help group for those who have lost a loved one to suicide. How it'll probably go! (I hope!) Source. 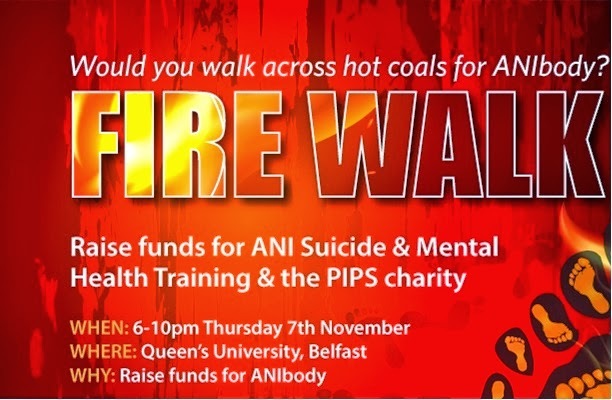 Taking part in this fire walk will support the PIPS charity and provide training for people in identifying and helping people in crisis. I realise all too well that it is often impossible to identify those most at risk until it is too late. At the very least it will play a role in the wider socialisation of the discussion about mental health and provide a means by which we can discuss suicide and related subjects that are still, if not taboo, then uncomfortable for many people. But here’s the thing … I’ve been trying to convince myself that I will be doing good. I’ve tried to tell myself that I’ll be partaking in a rite of passage that stretches back to Iron Age India (c. 1200 BC). I’ve tried convincing myself that the physics is good and that it won’t burn my feet off (I’m short enough as it is!). I’ve also attempted to console myself that there is a powerful psychological boost waiting for me once I complete this. Right now (October 6th) I’m lightly terrified. If the thought of an overweight, middle-aged, recovering archaeologist facing his fears of being immolated in a flash of combusting leg hair, while trying to raise some cash for a deserving charity, isn’t enough to move you – I promise to post photographs of the event if I meet my target. I’ve set myself the target of raising £500 for this cause and I would be immensely grateful if anyone reading this post would, please, donate even only a pound or two. It’s all due to happen on the evening of the November 7th at Queen’s University Belfast. I’ve set up a secure Just Giving account that you can donate to, if you wish – just click on the button at the end of this post! This October bank holiday weekend will be an exciting one for Sligo as both the Archaeology of Gatherings Conference and the Sligo Live Music Festival are taking place. 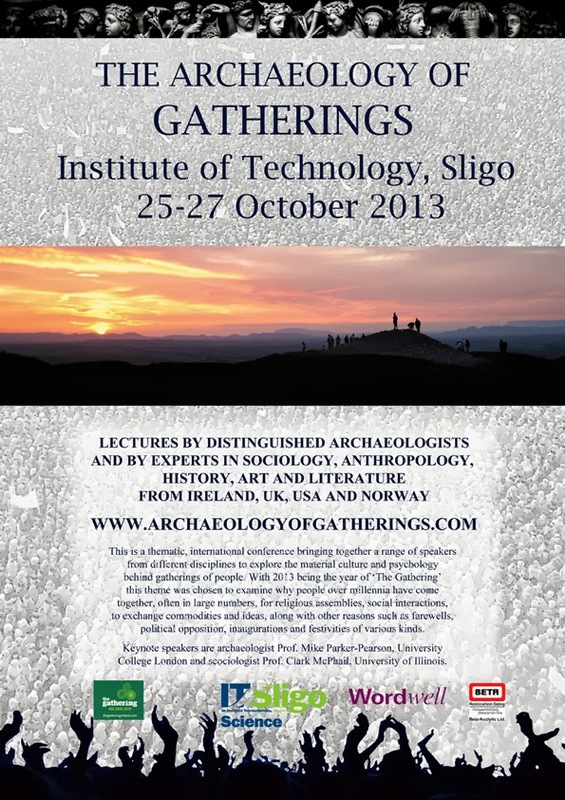 The Archaeology of Gatherings is a thematic international conference taking place at the Institute of Technology, Ash Lane, Sligo, Ireland, at the end of October. As 2013 is the year of ‘The Gathering’ in Ireland the theme was chosen to explore why people over millennia have come together for assemblies and social interactions of various forms. By bringing together a range of speakers from different disciplines, time periods, and countries, the conference aims to explore the material culture and psychology behind gatherings of people. The conference papers examine a broad spectrum of aspects on the theme of gatherings. While some aim to interpret the archaeological evidence available to us from prehistoric through to more recent times, others present insight into the psychological and sociological aspects of assemblies from contemporary contexts. The diverse academic backgrounds of the speakers, who are coming to Sligo from all over Ireland, the US, the UK, and Norway will contribute to our understanding of the significance of gatherings in people’s lives throughout the past and for us today. The conference commences Friday evening (25th) with informal drinks at the Glasshouse Hotel in Sligo. Conference papers will be held all day Saturday with a demonstration by Ancient Music Ireland during lunch break and a poster session held during the tea and coffee break. On Sunday morning the conference papers will continue until lunch time. In the afternoon there will be an unofficial field trip for anyone who is interested. 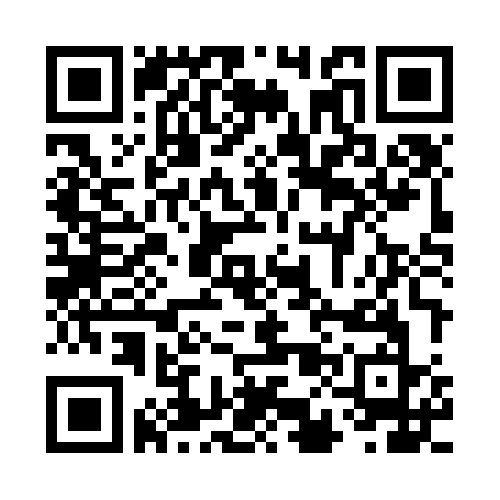 To register and for further information about the conference and the speakers visit our website or find us on Facebook. Prof Mike Parker-Pearson, Institute of Archaeology, University College London. Gatherings at Durrington Walls and Stonehenge. Prof. Clark McPhail, University of Illinois, Urbana-Champaign. The Life Course of Temporary Gatherings. Dr Edel Bhreathnach, Discovery Programme. Dr Dominic Bryan, Institute of Irish Studies, Queens University Belfast. Public Space and Power – Ritual and Identity in a ‘Shared’ Belfast. Dr Stefan Bergh, Dept of Archaeology, NUI, Galway. Meeting at the edge – Turlough Hill as a place of prehistoric assembly. Gathering the Nations: Kingdoms, Communities and Civil Society in Early Medieval Ireland. Dr Hans Hognestad, Centre for Cultural and Sports Studies, Telemark University, Norway. Identity, power and the sociality of football. Dr Jonathan Lanman, Institute of Cognition and Culture, QUB. Ritual and Divergent Modes of Cohesion. Under the same night sky- the architecture and meaning of Bronze Age stone circles in mid-Ulster. Dr Julia E. M. Cussans1, Stephen J. Dockrill2, Ian Armit2, Julie M. Bond2, Jo T. McKenzie2 (1Archaeological Solutions Ltd., 2University of Bradford). ‘You’re invited to a party, don’t turn up legless’: case studies in feasting and community gatherings in Iron Age Scotland. James Bonsall1, Dr. Chris Gaffney2, Prof. Vince Gaffney3, Heather Gimson1, Robert M. Chapple4. (1University of Bradford, Earthsound Archaeological Geophysics, 2University of Bradford, 3University of Birmingham, 4William Dunlop Archaeological Photographic Archive, Irish Radiocarbon and Dendrological Dates). Tonight we’re going party like it’s 1985! The Archaeology of Festivals in Geophysical Data. Dr Una MacConville, Sociologist and Visiting Fellow, Centre for Death and Society, University of Bath, UK. Gatherings on the ‘Far side banks of Jordan’. Dr Candace Weddle, Ph.D., Anderson University South Carolina, USA. Blood, Fire and Feasting: The Sensory Experience of Greco-Roman Sacrifice. Prof Elizabeth FitzPatrick, NUI Galway. Shifting Territorial Boundaries and Medieval Assembly Places. Dr Richard Madgwick, Cardiff University. A Passion for Pork: Feasting in southern Britain from the Neolithic to the Iron Age. Dr Louise Nugent, Independent Scholar. Gatherings of faith: Pilgrimage in medieval Ireland. Edel Barry, MPhil, Built Heritage Collective Ireland. Gatherings: The Archaeology of Railways in Ireland. Stephen Dixon, MSc, IT Sligo. Archaeological and Anthropological aspects of 'forced gathering' from within the Jewish Holocaust. 'Cargo Cults' in the Pacific; Irish Neolithic parallels? Prof Stuart Tyson Smith, University of California, Santa Barbara, US. Colonial Gatherings: The Presentation of Inu in New Kingdom Egypt and the British Imperial Durbar, a Comparison. Dr Robert Hensey, Archaeological Research Professional. Crowd-sourcing in the Boyne Valley.